In 12-inch skillet, heat oil over medium-high heat. Add shrimp, onions, chile, orange peel and thyme; cook 1 minute, stirring frequently. Stir in tomatoes. Heat to boiling. Reduce heat; simmer uncovered about 5 minutes, stirring occasionally, until shrimp are pink and sauce is slightly thickened. 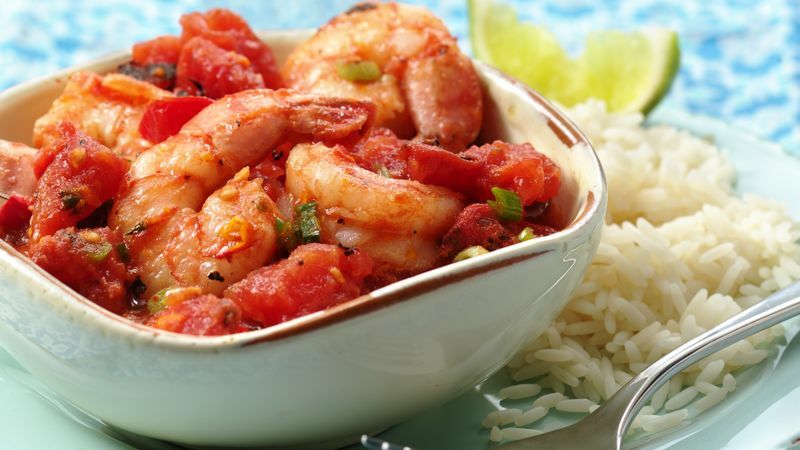 Serve this saucy shrimp mixture over rice or couscous, or with crusty French bread. Add a tossed salad to complete the meal.